If you live in Mobile County, Baldwin County or any of the surrounding areas of Alabama, and you are facing divorce or have some other serious family law issue you need to address, you can turn to Peggy R. Nikolakis and our law office in Mobile for the quality, effective and compassionate counsel you deserve. Backed by more than 22 years of legal experience, attorney Peggy R. Nikolakis possesses the skills and resources necessary to help you resolve your conflicts and reach agreements with regard to child custody, child support, property division, alimony and all other related matters. Our law firm also provides exceptional representation on behalf of fathers' rights, and we are fully committed to protecting your rights and interests while helping you achieve the goals you seek. Before becoming an attorney, Dr. Nikolakis earned her doctorate in education and served nearly 25 years as an educator and administrator in the area, serving on Mobile County's School Board for six of those years. During that time, she gained a reputation for her unwavering commitment to the children of our community, and that commitment continues through our legal practice as we strive to always keep your children's best interests at the forefront of our efforts. 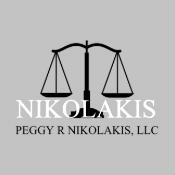 To find out more about how Peggy R. Nikolakis can best serve the needs of your family while supporting you through what is likely a very difficult and uncertain time in your life, you can contact our law office to schedule a free initial consultation.